Corrected figure and table for WARDLAW, B. R., NESTELL, M. K., NESTELL, G. P., ELLWOOD, B. B. and LAN, L. T. P., 2015. Conodont biostratigraphy of the Permian-Triassic Boundary Sequence at Lung Cam, Vietnam. 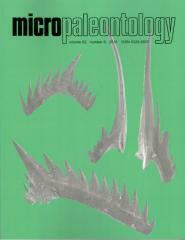 Micropaleontology, 61: 313â€“334.